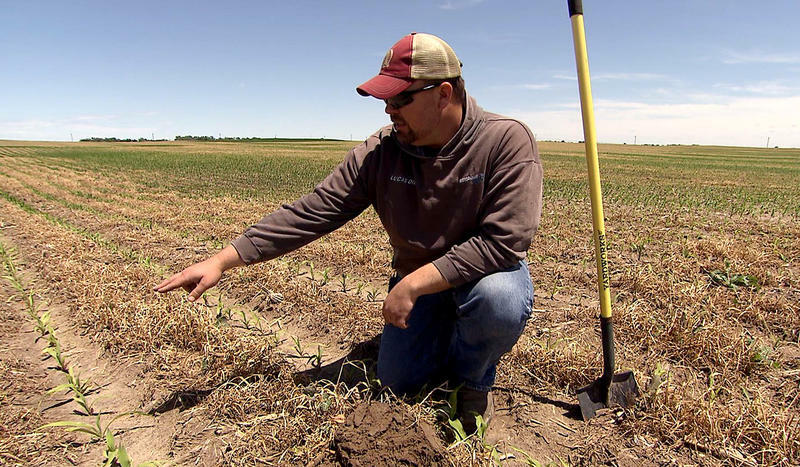 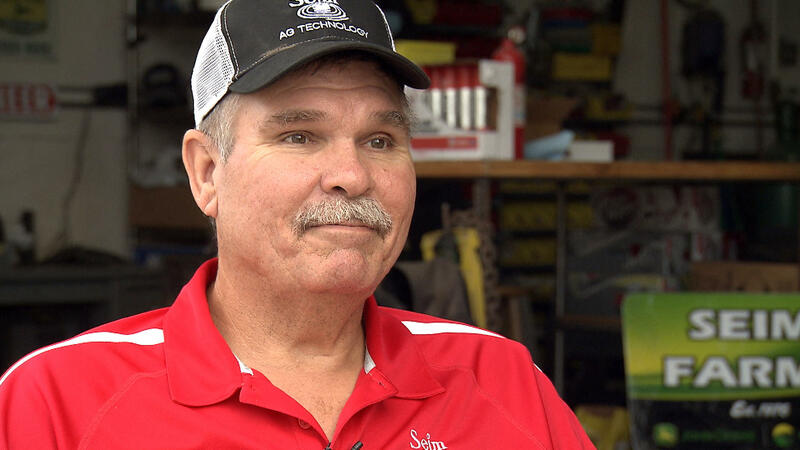 Farmer Ken Seim, Noah's father, is experimenting with real-time fertilizer application and other conservation measures. 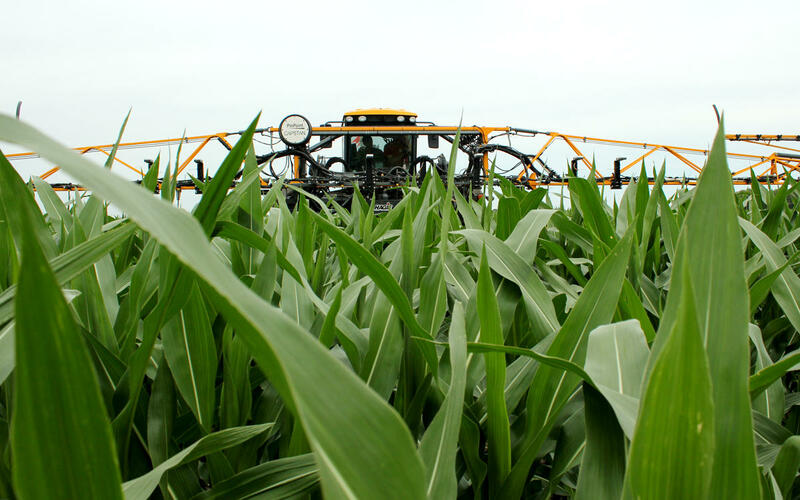 A tall sprayer fitted with crop sensors for Project Sense rolls through a Nebraska corn field. 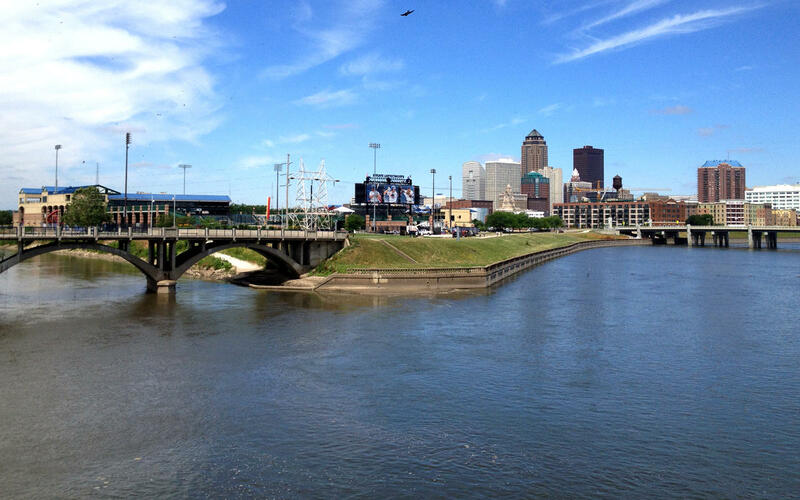 The Raccoon and Des Moines rivers meet in downtown Des Moines, Iowa.